An investment can help you to successfully grow your money and get returns on it over a long period of time. However, the different types of investment can be confusing and can lead to issues if you do not understand what you are investing in. 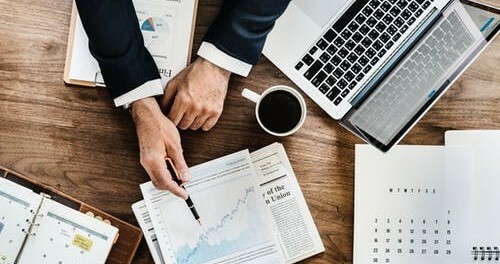 If you are looking to set up an investment, this article seeks to explore the different types of investment and the best ways to start investing immediately. Hedge funds allow you to invest in a wide variety of different sectors and are contributed into by a limited number of investors, whose contributions are then run by a manager. The benefits of hedge funds are that you can pay no matter whether the market increases or decreases, giving you an opportunity to benefit from the fund either way. If you are interested in the formation of an investment or hedge fund, then you should contact an advisory lawyer who can guide you as to fund formation, regulation and other elements throughout the period of your investment. Companies sell shares of their stocks on the stock market to investors to raise money for their business’s growth. You can then exchange these bought shares with other investors. You can buy stocks and shares through an investment broker, who will help you to find the best stocks and shares for you. By buying shares, you own a little portion of a certain company and so benefit from their success, either through company growth or through receiving a dividend each year. Cryptocurrency is a digital currency that relies on cryptography to secure financial transactions and that can be invested into. The most popular cryptocurrency is bitcoin. By investing in bitcoin, you are relying on bitcoin maintaining its value into the long term. Although bitcoin is risky, there have been cases of overnight millions won through its markets due to transferring digital funds into real currency. By investing in a bond you are making a payment to a company in exchange for interest payments over a long period of time, as well as due repayment. If you are looking for a savings bond, this can be bought through an online broker or directly through the government and even banks. This is different from corporate bonds, which must be purchased directly through an online broker or an investment or commercial bank. Most of these will need the intervention of a broker to succeed. By buying an annuity, you make a contract with an insurance company that ensures that they can make periodic payments to you. You will take out a portion of your pension in a lump sum, and use the remainder for an annuity investment, which will give you advantages such as the rest of the income that you need for your lifetime. Many people use annuities to save for retirement, or simply to ensure that they have a steady influx of money throughout their retirement. You can buy fixed and variable annuities direct through your insurance or pension company, or on the open market.